Are you running a vehicle with a LS swap and not using a GM TCM for the transmission? If so then you probably know that the vehicle speed will read 158MPH all the time. This can cause issues with the speed limiter among other things. 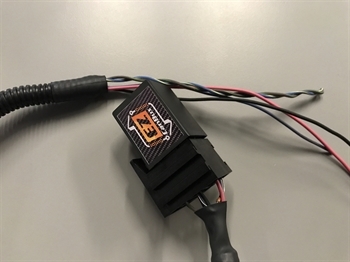 This EZ Module will wire into your CAN wires and simulate the GM TCM and supply the ECU with a 0 MPH reading. We are working on an upgrade for this module that will tie into a speed sensor and output the signal to the GM ECU. There is no current ETA for this upgraded module. Contact us if you have a need or special request.